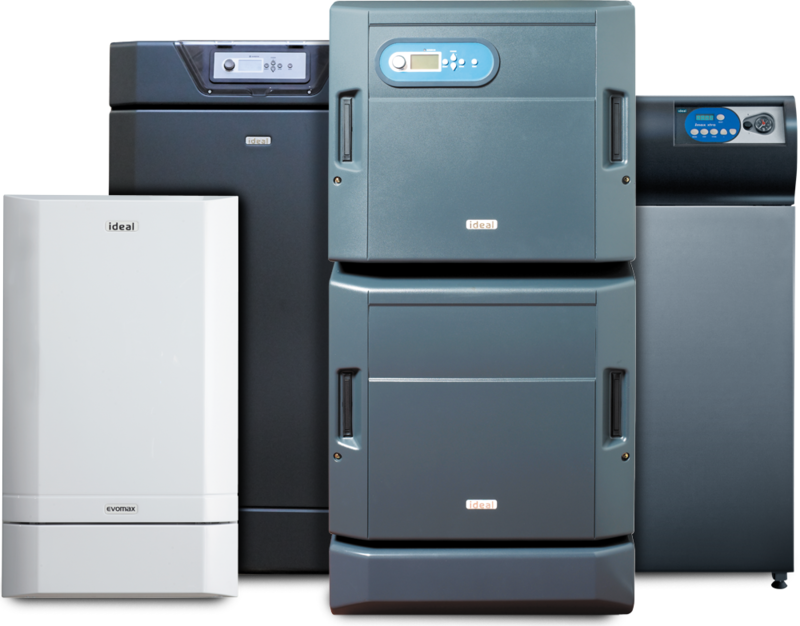 Ideal Commercial Boilers is the UK’s market leader of high efficiency commercial heating solutions. Operating from our Hull manufacturing plant and offices since 1906, we are one of the few true British manufacturers left in the heating industry. The foundation stone on our Hull factory was laid in 1906 and we’ve been manufacturing there ever since. We’re very proud of our heritage, but that doesn’t mean that we’ve stood still. Over the years, we’ve introduced new products that reflected the prevailing technologies of the time; coal then gas for fuel, cast iron then aluminium and stainless steel for heat exchangers, and most recently, the move to condensing boilers for improved efficiency. All the years of experience we have of designing and manufacturing commercial boilers for the UK market have gone into today’s condensing commercial boiler range. Whether you choose a wall hung or floor standing solution, you will be specifying a product that comes with over 100 years of knowledge and skill as standard. You don’t get to be the UK’s commercial heating solutions market leader by chance. Our condensing commercial boilers are specifically developed for the distinctive features of UK installations; the same cannot be said by all of our competitors. Alongside the manufacturing plant in Hull is our Centre of Innovation and Technology. Home to our Research & Development team, this is where our boilers and components are designed, developed and tested to rigorous standards. Using state of the art equipment and techniques, only the very best are allowed to make it to manufacture. One of the key areas for focus over recent years has been reducing emissions, especially of NOx. The premix boilers in the Condensing range all produce less than 40 mg/kWh of NOx, while Evojet comes with the option of a Low NOx burner. The pursuit of quality doesn’t end in development. Our commercial boiler manufacturing process incorporates the best practices learnt from the large-scale production of our award winning domestic boilers. Ensuring consistent quality throughout manufacturing, you can be certain that every Ideal Commercial boiler will achieve the same standards of reliability and efficiency. We want to make specifying an Ideal Commercial boiler as simple as possible for you. To start, the whole condensing commercial boiler range conforms to all parts of ErP regulation as you would expect. Additionally, your clients will be glad to know that the majority of our condensing boilers are listed on the Energy Technology List (ETL), allowing them to claim tax relief on their new boiler. Before plant room design gets underway, you can call on our team to undertake a site survey, and once design begins, you can download BIM Objects and CAD files straight from our website. All for free. At all stages of installation, we can be on hand for any queries you may have. We’ll commission the boilers for you and provide warranties of up to 5 years to give total peace of mind (subject to the boiler chosen and terms and conditions). Considerations relating to the whole life of a building are becoming more important. Facilities management will be pleased to know that once installed, our boilers are designed to be easy to maintain, with good access and visible key parts. Our technical support team is also on hand to provide guidance and advice over the telephone and in person. Wall hung, floor standing, modular, aluminium or stainless steel heat exchanger, pressure jet. We have condensing commercial boilers covered.